This 7mm Socket Driver is perfect for installing standard sized nuts on 4mm hardware. 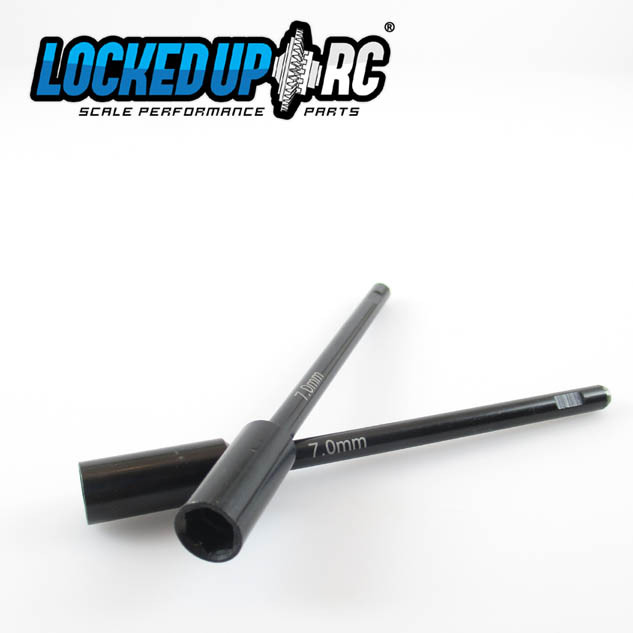 The shafts are 5mm in diameter and are perfect match with our 5mm Tool Handle. They will also work in variable speed electric drivers and slide right in to most 5mm ID RC driver handles.